Cloud computing may be the way of the future, but the power of local hardware increases with each generation. 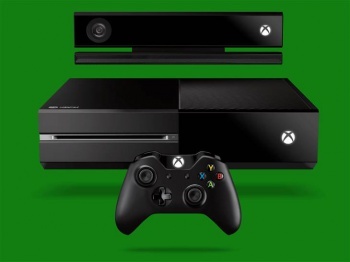 Microsoft's Phil Spencer doesn't think consoles are going out of business any time soon. Though the power of the cloud increases day by day, local hardware capacity increases with each generation, he Tweets. So if you were wondering whether the shiny new box next to / under / over / surgically implanted inside your television is the last shiny new box you'll ever buy, take note: Spencer says no. Interestingly, Spencer also points to bandwidth caps as an ongoing problem. "Still believe HW & SW engrs working together will find local HW scenarios critical," he Tweets. You'd almost think Microsoft wasn't the company championing an always-on internet connection last year, at least right up until its famous U-turn. Mind you, we still don't know whether Xbox is part of Microsoft's future. Steve Ballmer's impassioned defence aside, Microsoft's new CEO - whoever that turns out to be - might have different ideas about Microsoft's product line. Stephen Elop, the man who'd sell Xbox and Bing, is still in the running for the top spot.